Driven by academics from the University of Nottingham’s Built Environment, the Wi-be project aims to take domestic smart metering technology forward by developing domestic monitoring technologies that identify specific wasteful energy use, actions to take and the persons to take them. 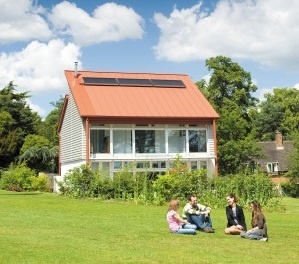 Unlike the smart meter, which is expected to provide overall consumption data, the Wi-be approach forms an interface between occupants and their home that through an understanding of how occupants live in a building – promises much greater energy behaviour changes that are widely replicable and adaptable to future energy technology scenarios. Horizon is progressive in its focus to interdisciplinary research, involving both domestic and commercial users in the academic study of new energy technologies, exploring the impact of culture, social and organisational relationships on perceptions of energy and climate change.